The Chris Reeve mnandi is the classic gent's upscale folder. Great combination of stainless S35-VN steel and bog oak wood handle scales inlaid into the titanium frame of this precision folding knife. 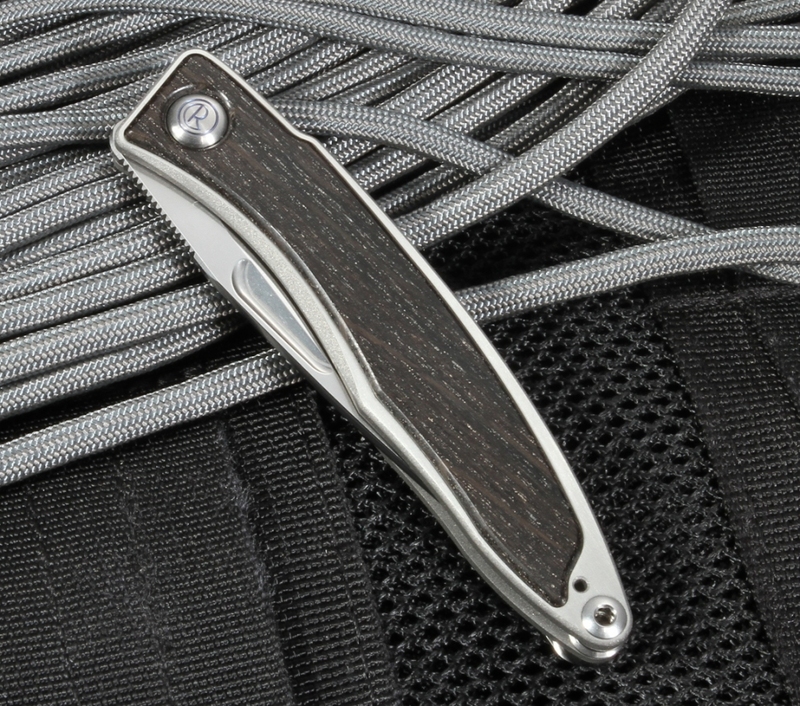 The Mnandi folding pocket knife, designed by Chris Reeve, is the perfect "dress" knife for the upscale modern gentleman. The blade on the Mnandi knife is a thing of beauty. The 2.75" blade is made from stainless S35-VN steel with a 59-60 RC hardness. Jimping on the thumb rest is file-worked on the blade spine to increase the handling of the 6.25" knife when opened. The knife has an integral locking mechanism, an innovation started by Chris Reeve. The precisely machined bushings give this knife an easy bank-vault opening and closing. The handle inlay is made from dark Bog Oak Wood. 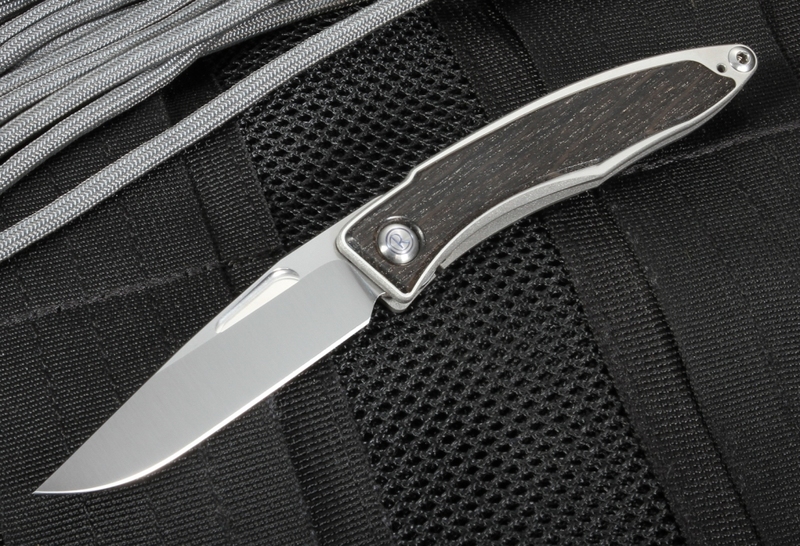 The handle and frame are made 6AI4V Titanium with satin finished flats and blasted edges. The finely finished titanium, makes the entire knife durable and light at 1.5 oz. Titanium pocket clip is designed for a tip-up carry. As with all Chris Reeve knives, we are the authorized dealer. Here at KnifeArt.com, our satisfaction is guaranteed, giving buyers the confidence for purchasing a great knife. For orders over $150, we provide free same business day shipping anywhere in the US. Chris Reeve knives are made with precision and pride in Boise, Idaho U.S.A. I have several folding knives in the 3" to 4" range and I was looking for something a little smaller. The Mnandi was on the short list, I wanted something that I could carry in any situation. It's classy enough that you can clip it to your dress pants or use the leather sheath. It's not a rugged hard use knife, but that was not what I was looking for. 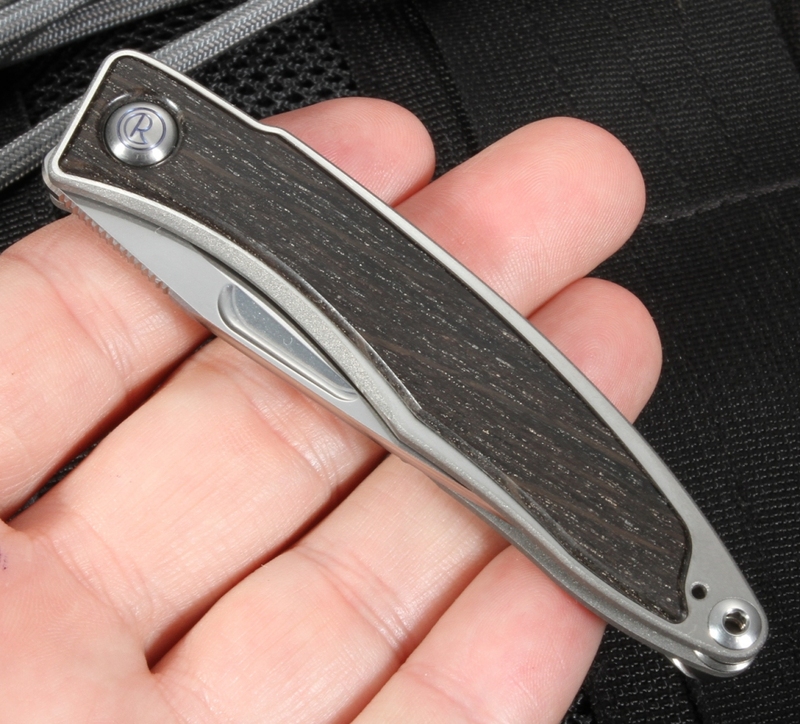 The attention to detail is evident in this knife, the beautiful bog oak inlay is great. For a smaller knife it fits in my hand well (med to large hands). I'll likely leave the clip on as it provides a little extra purchase in my hand. I ordered it on the Friday morning before Memorial Day and it arrived Tuesday. Thanks to the staff at KnifeArt for getting it out the door so quickly! for everyday carry! The ordering and experience with Knifeart is excellent as always! If you want an impressive tool, this is it!